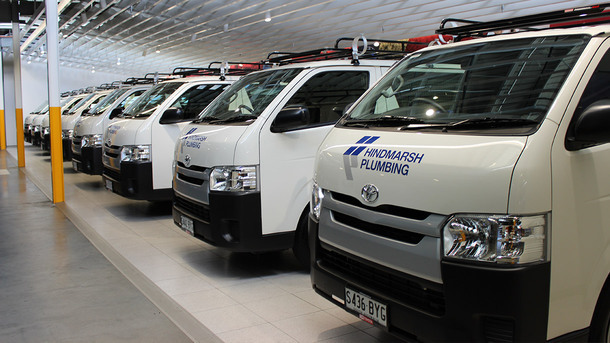 Eight new vans for Hindmarsh Plumbing! 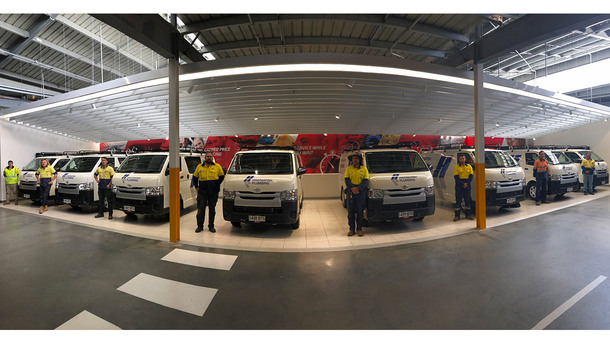 The CMI Toyota Fleet team recently had the pleasure of presenting and delivering eight new custom Hiace vans to the team at Hindmarsh Plumbing. 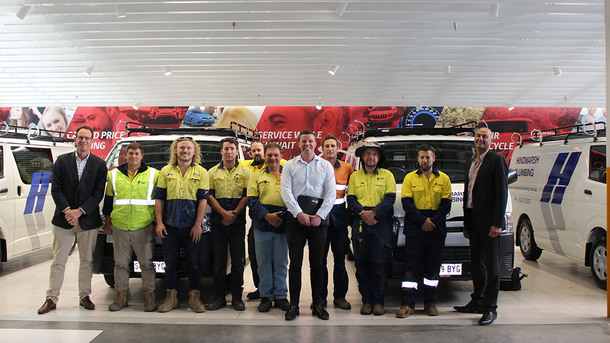 It was fantastic to meet the Hindmarsh Plumbing crew who were very excited to see their new vans and the new fitout. The line up in our delivery area was awesome and its even better to see the team #cmiling driving out of CMI Toyota. 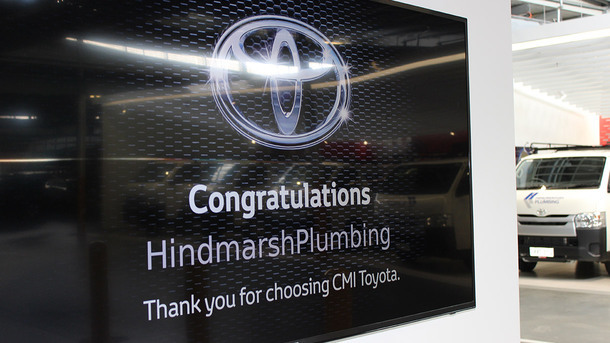 “CMI took responsibility for the entire process including coordination of our trade ins, new signage, racking and internal shelving requirements. Their approach was highly professional with excellent communication throughout the process. 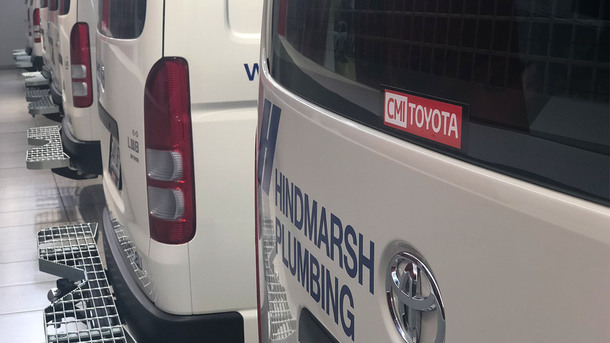 The hand over was seamless and it was an exciting day for our plumbers and the business rolling out 8 new vans from their West Tce showroom!” says Will Chapman, Hindmarsh Plumbing General Manager. Congratulations to Hindmarsh Plumbing on the delivery of their new fleet of vans and we look forward to seeing them on the roads! CMI Toyota operates the largest Toyota Fleet department in South Australia, over three convenient locations. Combined, our team of eight staff have over 50 years of experience with Toyota products.